Marble is a classic building material for good reason. Durable and beautiful, it’s a timeless choice that’s been in use for centuries. It’s use in public buildings dates back to early Greece, and it continues to be a top choice today. One of the most impressive marble buildings is found in Denmark in the city of Frederksstaden. The official name of the church is Frederik’s Church, but it’s better known as The Marble Church. The nickname is apt because the church features an incredible amount of marble work. The foundation was laid for this stone building in 1749 under King Frederik V. The main architect, Nicolai Eigtved, passed away in 1754, and a French architect continued the work. Jardin revised the plans slightly before work continued. Funding slowed down after this and the completion of the building was ultimately postponed. Work came to a halt and construction would not resume in earnest until the late 1800’s. It was finally completed in 1894, and it currently serves as a modern church. The church was completed only after the Finance Minister struck an unpopular deal with a developer in 1874. In this agreement, the ruins of the unfinished church and church square were sold to Carl Frederik Tietgen for 100,000 Rigsdaler, but there were a few conditions. First, the finished church had to be in a style consistent with the original plans. Second, the building had to be donated to the state when finished. Third, the developer would be given the rights to subdivide and develop neighboring plots. The Finance Minister was charged with corruption over the arrangement a few years later, but he was acquitted of the charges. Budget problems still plagued the church, however, and limestone was used in some areas to help save costs. A major landmark of Denmark, most of the structure was built using Norwegian marble. 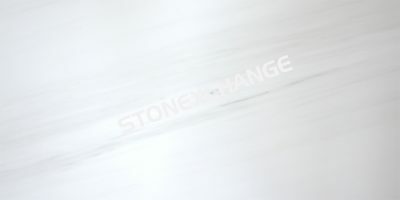 This type of marble has heavy veining with contrasting colors of tan and cream or rose, pink and white. The illusion of movement this creates is one of the appealing features of the church. Rather than having the appearance of static paint, it has greater depth. As light plays off the marble, the illusion of movement is enhanced to make the church even more visually appealing. While Norwegian marble is used in the columns and walls closer to the ground, the upper areas were finished with Faxe marble to reduce the overall cost. The church was originally intended to be much larger. Frederik V envisioned a dome that would stand 45 meters tall and stretch out to the outer walls. This was eventually reduced to a still impressive 31 meters in diameter. However, the plans for the main room were never altered. While the original designers and dreamers never saw the church come to life for ceremonies and masses, the image they were working toward has been realized today. People from around the world travel to see the work of Michelangelo in the Sistine Chapel. While the artwork in Frederik’s Church may not have that same appeal, it’s still beautiful in its own right. The artwork represents the twelve apostles. Medallions are located below the apostles and there are motifs from the 42nd Psalm on either side of the massive altar. The exterior of the church features several statues representing famous people from the church including bishops, monks, theologists and even a psalm writer. The large copper dome dominates the skyline of Frederksstaden because it is situated at the highest point. Inspired by the Church of Saint Peter in Rome, it shimmers in the sunlight as a beautiful tribute. The rounded peak isn’t just for adding visual appeal to the exterior of the building. The interior of the dome is open for visitors. From there, people can take in the incredible views of the city, including the Royal Palace of Amlienborg and the Royal Gardens. The copper dome that tops this church has aged to a beautiful patina. This gives it a green tint that seems to glow in the sunlight and gives the entire structure a unique look. Currently, the church is one of the hottest spots in the region for weddings. The beautiful church provides an incredible area for celebrating this special day, and wedding bells chime frequently on Fridays and Saturdays as people use this historic site to start their own history together. Inside the dome, the use of blue panels helps bring out the white Faxe marble. The curved structure floats overhead and rises elegantly above visitors. While most of the church is made of marble, the addition of blue backdrops for frescoes and statues helps add visual appeal and makes the church more remarkable. When viewed from afar, the tower and dome rise up from the skyline to dominate the horizon and demand attention. This church began its life more than 250 years ago, but it took 150 years to move through the construction process. Wood structures left unfinished are susceptible to rot and insects, but this wasn’t a problem for the marble church. Although construction was slowed down at some points and completely abandoned at others, the marble that was in place survived the test of time. Politicians and architects who came along decades later were able to pick up where their predecessors left off and continue working on the church. It took a special deal to finally complete the landmark, but it’s not the pride and joy of Denmark. While people may have viewed the special arrangements at the time to be questionable, there is no doubt that the church has become an important part of the country that will continue to grace the center of town for centuries to come. This was only made possible through the use of beautiful marble. While the scale of the church may have been reduced due to changing ideas and shrinking budgets, the dome is still an impressive tribute to both the desire of man to create beautiful structures and the incredible durability of marble.